This Synthetic outdoor wicker Sectional piece allows you to customize a modular sectional with the other Brooklyn pieces. 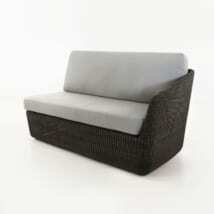 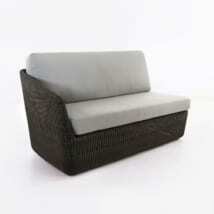 The ability to make an “L shaped or “V” shaped outdoor sectional is what this corner piece is best utilized for. 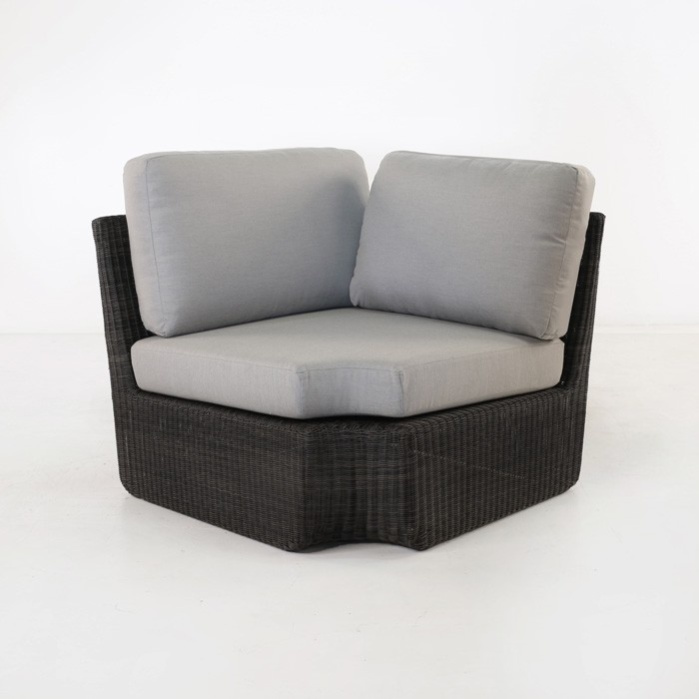 A beautiful flowing custom sectional can easily be created with this wicker sectional corner piece. 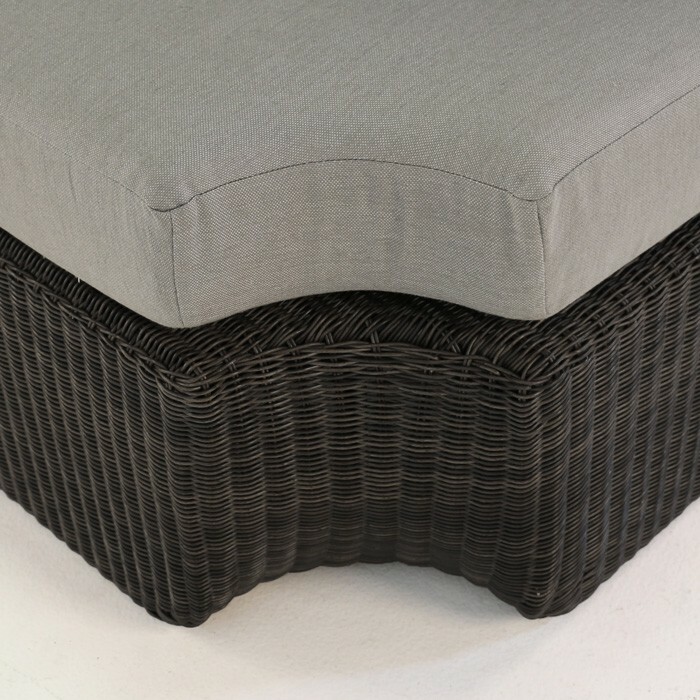 Made from top-tier synthetic outdoor wicker that is built to last many years in full-time use outdoors and can be maintained with minimal attention. 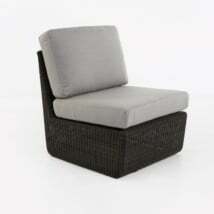 This corner chair is available in two colors. 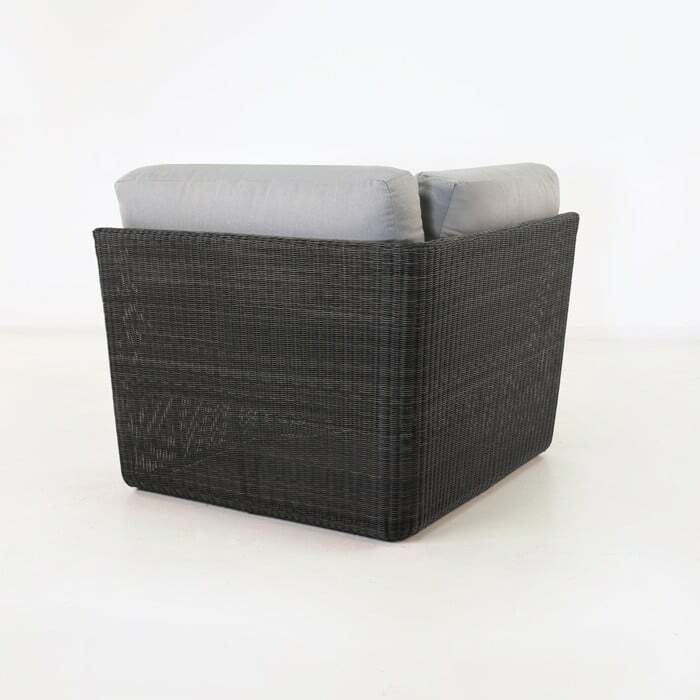 The color shown here is black. 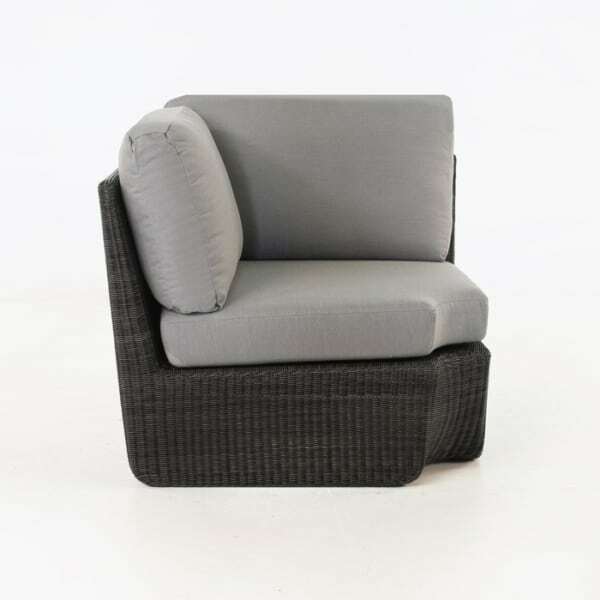 The cushions as shown, are included with this corner sectional chair.